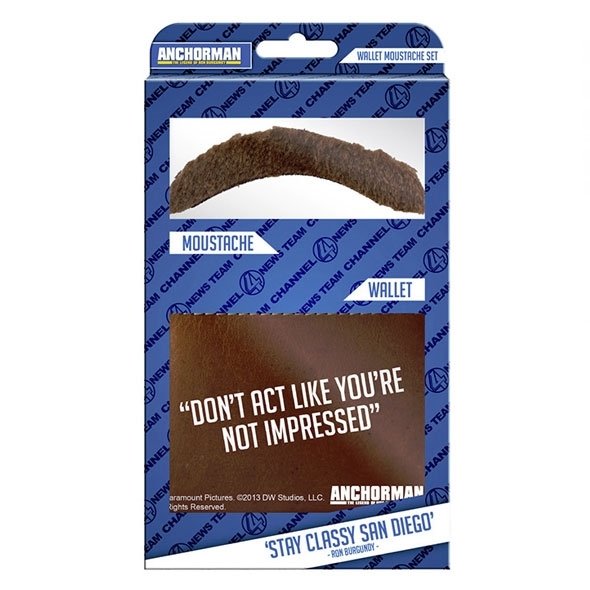 If you're a fan of Anchorman you will appreciate this awesome moustache and wallet set - Don't Act Like You're Not Impressed! 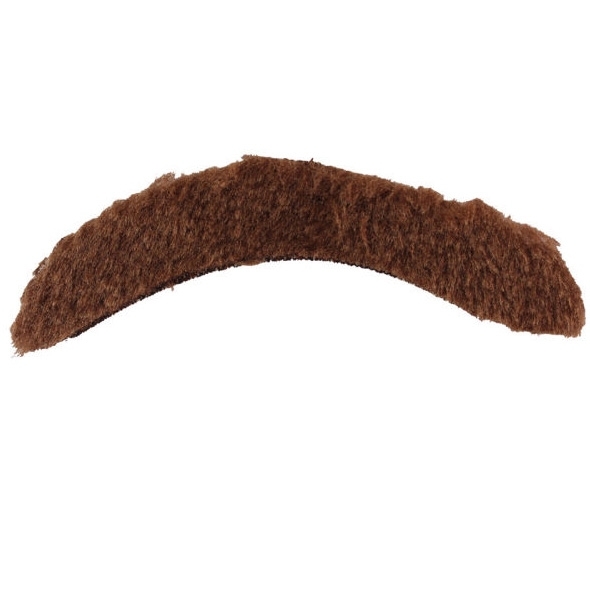 Stay classy with this magnificent Ron Burgundy moustache, complete with awesome Anchorman wallet! 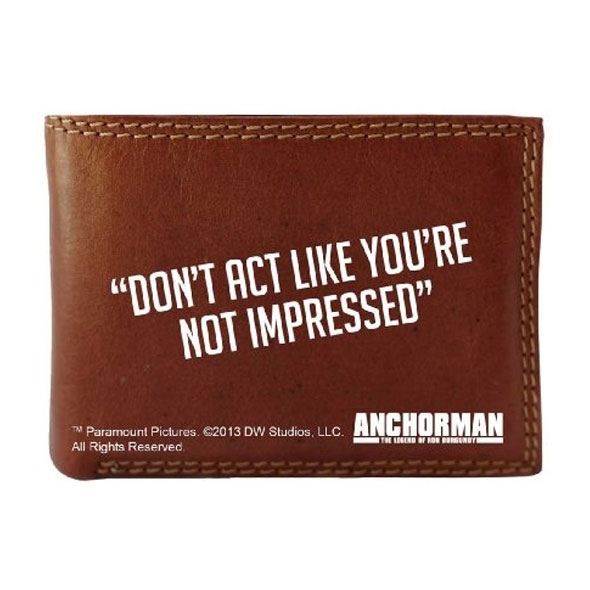 The moustache will make you look just like the legendary Mr Burgundy himself, while the wallet - which has the quote 'Don't Act Like You're Not Impressed' printed across it - will keep your cash safe from rival newsmen if you become embroiled in some sort of brawl, and things happen to escalated quickly. Don't act like you're not impressed! This Ron Burgundy moustache and wallet set would make a fantastic gift for Anchorman fans - wear them together, and you'll instantly look like the sort of person who owns many leather-bound books and has a desk of rich mahogany. You may not be able to grow a glorious moustache like the real Ron Burgundy, but don't worry - this smashing set would fool anybody.